for $249,900 with 4 bedrooms and 2 full baths. This 1,286 square foot home was built in 1955 on a lot size of 0.16 Acre(s). 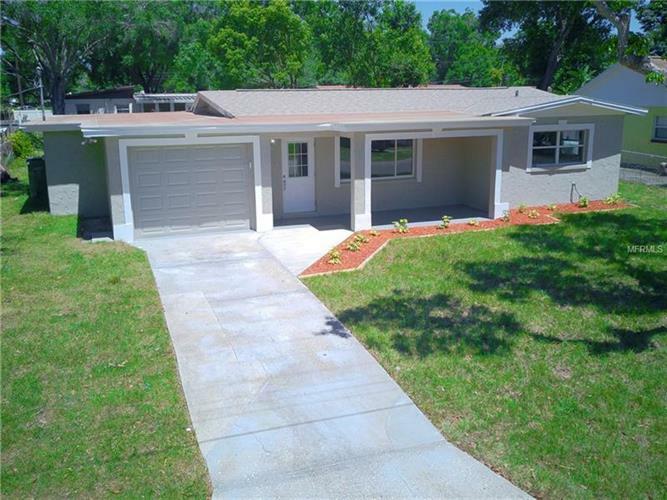 IMPRESSIVE FULLY RENOVATED 4 bedroom 2 bath home! This immaculate home has been tastefully and very thoughtfully renovated from the roof the the floors with no detail left undone. New items include the roof, flooring, interior and exterior paint, Kitchen cabinets, granite countertops, Stainless Steal appliances, glass backsplash, vanities, showers, tub, over sized Master suite with designer shower and large walk in closet, LED lights with adjustable color temperature, USB power ports in the kitchen, Ultra Quite garage door opener with Wi-Fi connectivity to monitor the garage while home or away, water heater, insulation, doors, fans, landscaping and much more. Conveniently located in quite neighborhood in central Tampa close to everything. No HOA Fees. This hidden gem is worth your time to see it in person. From Sligh Ave and Dale Mabry head East on Sligh. Right on N. Armenia Ave. Left on W. Elm. Home on the left.